Have you ever thought of working from home or starting a side hustle for an extra stream of income? Do you love nutrition, wellness, and fitness? You're in the right place! When I had my first child in 2013, my husband and I had taken a leap of faith and decided that I would stay home. We knew it would be tough to make ends meet on a teacher's salary, but we were confident that through frugal living and God's providence we could make it happen. A few expenses came up during that first year with me at home that had me scouring the internet for ways to make some extra money. I considered a paper route, bartending after my daughter went to bed, starting a tutoring business, and delivering phone books, but for one reason or another none of these options were viable for our family. Around that same time, I saw an acquaintance from college post about how she was able to earn money from home by helping others get healthy. She shared her story, and I found myself nodding my head the entire way through. She was also a teacher's wife, staying home with their daughter, barely scraping by, when this business changed her life. She shared how she didn't carry inventory or deal with people's money, and she didn't do tons of home parties. She had built her business on social media, and loved what she was doing. I was intrigued. I was also scared. I didn't want to be "that person" that everyone runs away from because I'm trying to sell them something. I am an introvert, so I wasn't sure I could reach enough people to be successful. BUT we needed the money, I needed a creative outlet, and I had some extra time on my hands while my daughter napped, so I decided to reach out to her with my concerns. We spoke on the phone, and she was so real and honest with me, I knew with her help I would be able to succeed. Here I am 3 years later working with a team of incredible women whose integrity and work ethic astound me every day. I'm earning extra income for our family, and I won't go a day without putting these amazing products in my body. The first step is to become a customer of the products themselves. The company I'm partnered with carries solutions for energy, performance, weight loss, and healthy aging, and many of the products are safe for pregnant or nursing moms. I have used the products to lose the baby weight three times now, have healthy pregnancies, and nurse 2 babies. My husband released 17 pounds on his first system, and now maintains a healthy weight. Not to mention the products are an incredibly convenient way for him to have a healthy lunch as a busy teacher. Once you're convinced that the products are magic potions that you won't go a day without, you'll naturally want to share them with others. In fact, other people will probably start asking you what you're doing differently. You are the tour guide, showing others how to create their own wholesale account, recommending products, and giving them some accountability, love, and support. You receive money from every order placed underneath you to infinity. If you help Susie get started, and Susie shares the program with Betsy, who shares it with Jane, who shares it with Rachel, you will be credited for all of those orders. You see, you can only succeed in this business by helping others succeed. You'll never deal with inventory, and you don't sell products. You help other people open their own account, and from their they are in complete control over what they buy. By the way - this is not a pyramid scheme. Those are illegal, and I would never be involved with one. It's a legitimate business that has an A+ rating with the Better Business Bureau. Our company has a no compromise policy on the integrity of ingredients used in the products, AND a 30 day no questions asked money back guarantee. I have also seen countless examples of someone earning WAY more than the person who enrolled them. Guess what? You're already doing this every single day. Did you tell your sister about the best dry shampoo? Did you recommend a good book to your friends on Facebook? Did you tell your friends at church about the new grocery store that just opened up? That's exactly what this is. Sharing something you love, only this company gives you referral bonuses and a percentage of each sale as a way to say thank you. Word of mouth is the most powerful form of marketing there is. Voxing with an amazing group of ladies I'm blessed to call business partners. Probably laughing a lot with them, and master minding business ideas. Why Start A Health & Wellness Business? You'll have access to the best nutrition products, and will quickly learn how to get them paid for! A wonderful community of supportive people - some of the best friends I've made in the past few years are because of this business. If you like to figure things out on your own, go ahead and browse the website! Take a look at the different systems listed below and decide which one you would like to start with. I DEFINITELY recommend starting with a system for 2 reasons: 1. you'll get the best results, and therefore the best testimonial that way, and 2. you'll want to speak from experience when you recommend systems to others. The Weight Loss System is the bare bones version of the value pack - just shakes, Ionix Supreme, cleanse, and cleanse support products. Which Solutions Appeal to You? 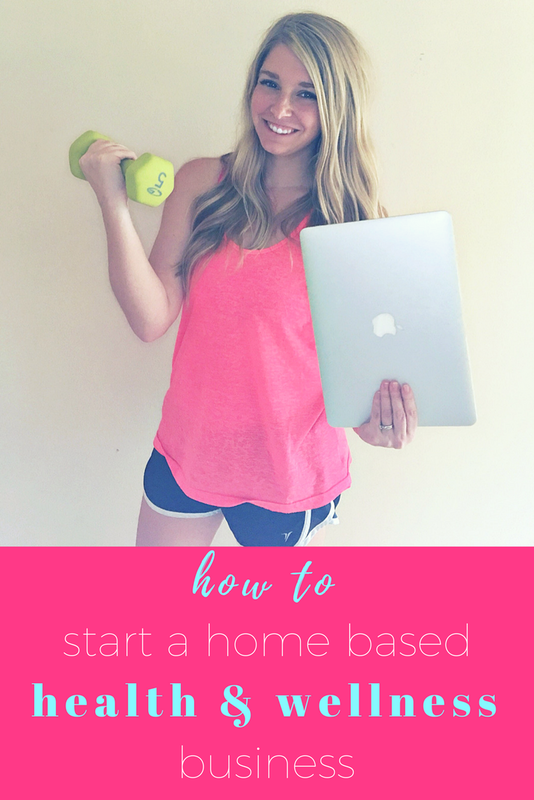 Why do you want to start a health & wellness business?